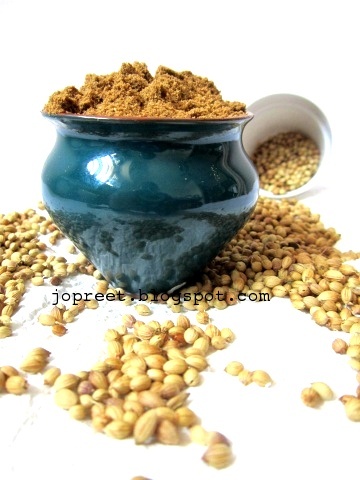 Coriander Powder is obtained by roasting coriander seeds. Most of the south indians use it for preparing non-veg curry. 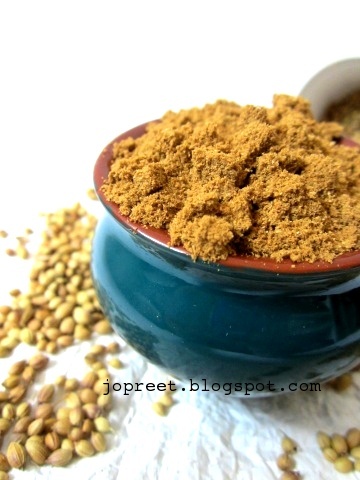 The flavor of coriander powder enhances the taste of any recipe. You can also add roasted red chilies along with coriander seeds. My MIL gives a bottle full of fresh ground coriander on our every visit. It is advisable to ground fresh coriander seeds when needed, since storing it for a long time will lose its flavor. 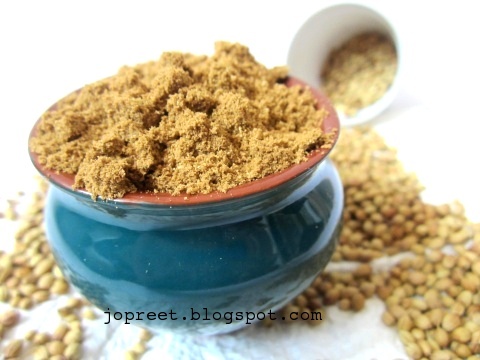 Coriander powder has cooling properties and it is good for increasing appetite and also relieves from indigestion. Dry roast the coriander seeds till nice aroma comes. Remove from the heat and allow to cool. 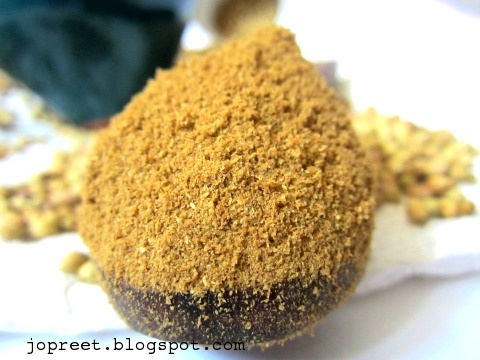 Blend it in a mixer to coarse powder. Add asofoetida and enough salt according to your need. Keep it in an air-tight bottle and use when needed. Nice 'spicy' presentation Preethy..In fact in today's world seeing something like this make you fulfilled..Cheers ! Never knew about the addition of asafoetida. And of course, homemade is always better than store bought. Adorable and useful post dear. Nice and useful post dear..Home made powders are the best! !